Shopping for a mortgage? We'll be glad to talk about your mortgage needs! Give us a call today at (952) 417-8466. Ready to begin? Apply Online Now. In the rush of excitement that comes with an accepted offer and a "yes" from the lender, many homebuyers make the mistake of taking their enthusiasm straight to the mall or furniture store. Keep in mind that until you get the keys, your lender is watching you very closely. We have listed some actions below we suggest you stay away from when waiting for closing. Don't buy big-ticket items. You may be itching to turn your new living room into a home magazine cover, or celebrate your new dream home, but keep away from major purchases like furniture, jewelry, appliances, or vacations until the loan closes. Using credit cards to buy new living room furniture could compromise your loan process by distorting your numbers. It's even a bad idea to make those big purchases with cash. 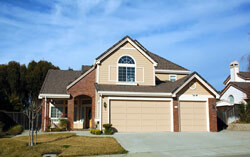 Lenders are examining your available cash when considering your loan. Don't look for a new career. Stability in your work history is a good thing to banks and other lenders. Changing jobs may not affect your ability to qualify for a loan - especially if you are getting a better salary. However, finding a new career during your loan process could affect your approval. Don't switch banks or move money around in your accounts. While the lending institution considers your loan package, you will likely be asked to produce bank statements for the last two or three months on your checking accounts, savings accounts, money market accounts and other liquid wealth. To eliminate fraud, lenders will need clear documentation of how you earn your living and where any additional wealth comes from. Changing banks or transferring funds elsewhere - no matter the purpose - may make it harder for your lender to review your funds. Don't give money directly to your seller (generally in cases of "for sale by owner") to be used as a "good faith" deposit. Your good faith deposit does not belong to the seller: it remains yours until closing. Any earnest funds are to go toward your expenses upon closing; your FSBO seller might not understand this. Get an attorney or other neutral party who is able to hold the deposit or place it in a trust account until closing. Your contract should indicate who gets the money if the home purchase fails. Kim Pedersen - Alerus Mortgage can answer questions about these "Don'ts" and many others. Call us at (952) 417-8466.